Joe, Kristen, Blake, Kalli and Lexie: A lovely celebration of ME! A lovely celebration of ME! 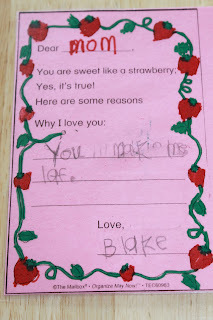 On Friday, Blake's kindergarten class had a special afternoon just for the moms. I was lucky enough to go and be part of it and it was truly a great experience. Sometimes as a mom I get bogged down with wondering if I'm doing enough, if my kids are going to be good, kind people and if there is more I can do (there always is which is very stressful for me). Blake and I aren't super close, that position belongs to Joe. Blake and Joe are pretty inseparable and I love it, but I do wish Blake and I had a relationship like that. The afternoon in his class was all the uplifting I needed to keep going on this motherhood journey and know that I am trying, and while I am far from perfect, I'm perfect for my kids. When we walked in there were little colored portraits each of the kids drew of their moms and we had to guess which one was mine. Some of the kids called out their parents like saying how much they play on their iPhones and how often they nap. I was certain Blake was going to call me out on something, because let's face it, I have a lot he could work with. 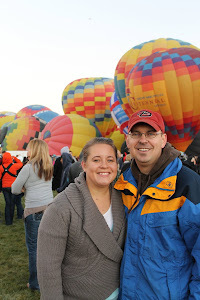 I was pleasantly surprised when he showed me the picture of me and his 3 favorite things about me. In case you can't read kindergarten writing it says 1. She like to read 2. She gives the best kisses and 3. My mom makes the best Alfredo sauce. 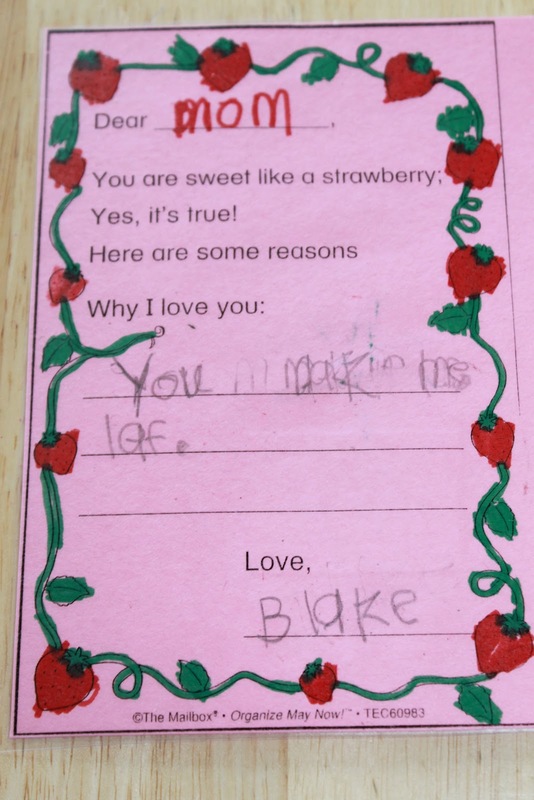 I felt that was very heartfelt, especially for Blake. Later they gave us this little card with a magnet strawberry and on it he wrote "Why I love you: you make me laugh". There was nothing better I could have heard. I loved it with everything I have! I was also glad I wasn't the mom next to me whose son put that he loves her because she helps him find his socks. So on Mother's Day, I tried not to think about all that I am failing at or those things that I want to change. But instead I thought of this sweet little boys answer to why he loves his mom and it made all the difference.